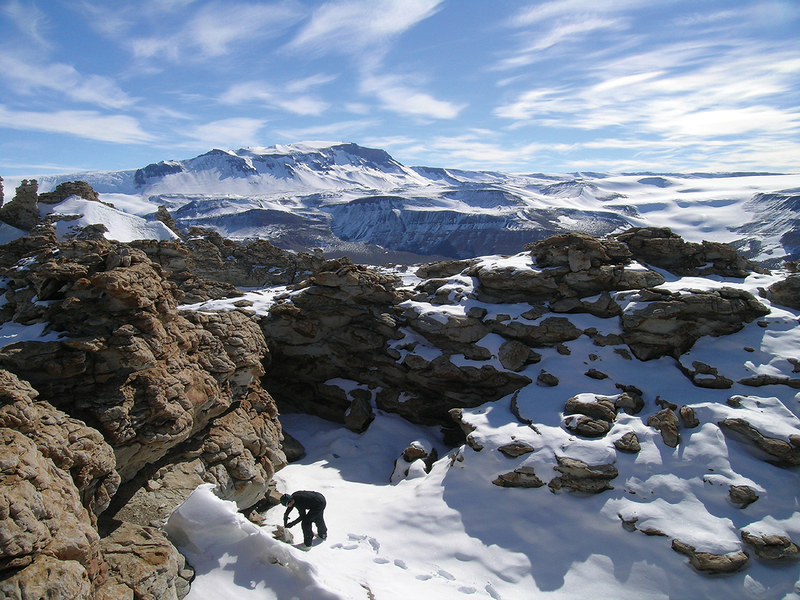 Byron J. Adams (BS ’93) gathers a soil sample from the peak of an Antarctic hillside. The biology professor has lived at McMurdo Station seven times and hitches helicopter rides to gather soil from Antarctica’s freezing, bone-dry valleys, where only a handful of microscopic animals can survive. Recently Adams and PhD student Bishwo Adhikari (’10) coauthored a paper that identifies a tiny worm that defies death by frostbite in Antarctica’s harsh climate by cranking out antifreeze. The researchers spent last Christmas near the South Pole with the nematode, which, when its notoriously dry home runs out of water, simply dries itself out and goes into suspended animation until the water returns. Identifying the genes the worm uses to kick in its antifreeze system can be useful—similar genes found in other Antarctic organisms are being used to engineer frost-resistant crops.